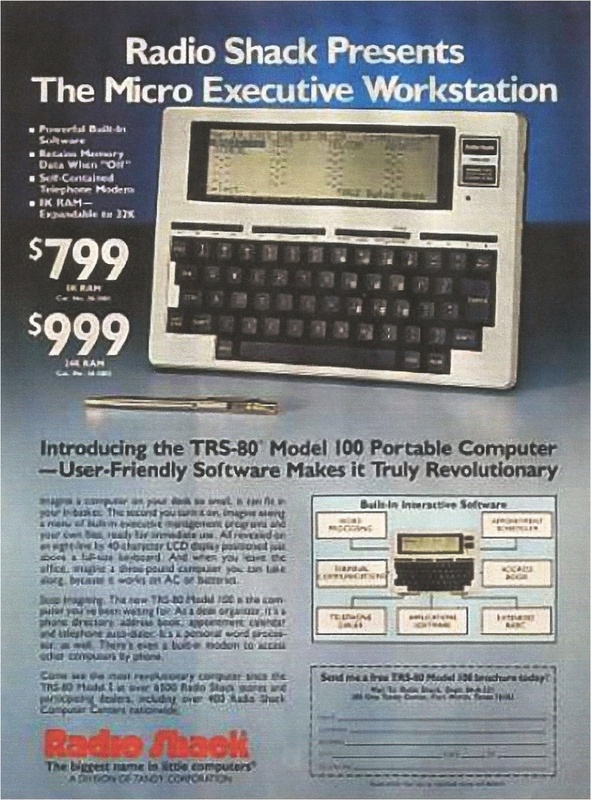 With a 2 1/2-pound cell phone and a portable computer with a six-line screen, you’d have been HOT writing on the road 30 years ago. Tupperware sandwich box. To get around town, you’d punch a code into the phone to make and receive calls in a few-mile radius, put the phone in its holster and sling the holster over your shoulder. It felt heavy after a while, but that was the price of not having to carry change and hunt up pay phones. In other cities, you’d punch in a “roam” code — and your editor might tell you to use the phone sparingly because calls cost a bundle. The phone itself cost more than most diamond rings — $3,995. Your kit also contained a Radio Shack TRS-80 Model 100, which reporters affectionately called the Trash-80 and made their workhorse on the road. What a marvel it was to sit in your hotel room and type your story, then connect the computer to your telephone via cup-shaped “acoustic couplers” on each end of the phone receiver and have the Trash-80 phone the Mother Ship’s computer and send the story, with each computer beeping happily. Software companies, new on the scene, sold chips that could put 10 lines of characters on the screen. Work could be saved on an external hard drive or printed out on a portable printer that used heat-activated paper and was small enough to fit into the turquoise Cordura Trash-80 case. By 1987, reporters began using other makers’ computers, some with fold-down lids containing big screens. On big stories, it was an experience to see a laptop that wasn’t a Trash-80 because Trash-80s were so popular.